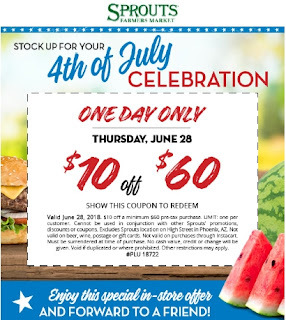 Lookit the nice surprise that landed in my inbox this morning: $10 off your $60 purchase at Sprouts! Good today, 6/28/18 only. It's shareable so go ahead and print the coupon here. You can locate your nearby Sprouts here. 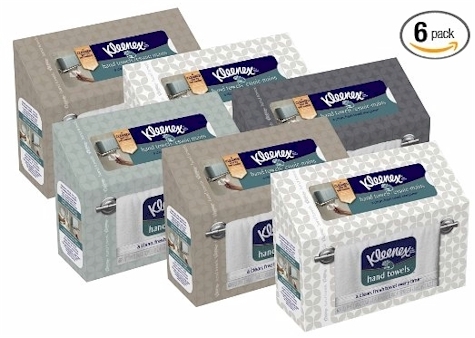 Amazon has got this 6-pack of Kleenex hand towels 60-count for as low as $1.53 per box shipped with their Subscribe & Save pricing, which is the lowest recorded Amazon price on this 6-pack. UPDATE: BACK IN STOCK BUT NOW AN ADD-ON ITEM! 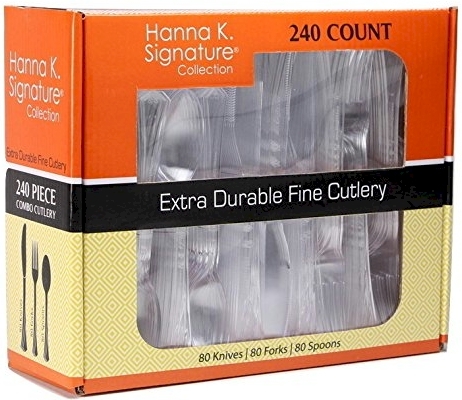 Amazon has got this 240-count Hanna K. Signature Extra-Durable Fine Plastic Cutlery for $6.99 with free Prime shipping. No quantity limits. 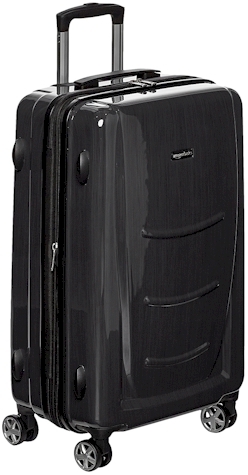 PREMIUM QUALITY - upscale, crystal clear, heavy duty, durable and won't scratch and break easily. VALUE PACK - set of 240 pieces. 80 of each Fork, Knife, Spoon, boxed for easier storage. ELEGANT - Crystal clear cutlery offers a premium look. EASY CLEAN UP - No more washing after family gatherings, parties, and dinner. GREAT for all occasions, weddings, dinners, parties, upscale catering, and home. 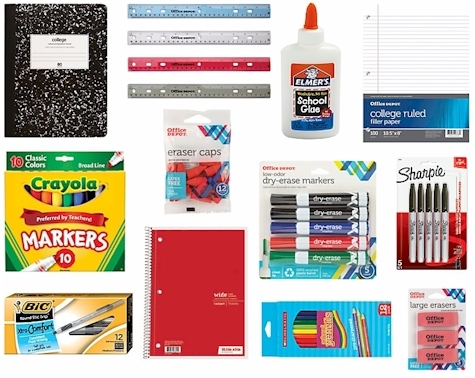 Early Bird Sale on School Supplies at Office Depot; items starting at 15 cents. Though school supply deals normally start in August, Office Depot is having a massive early bird sale on select school supplies. Click here to shop these fantastic bargains. Free shipping on a $35 minimum order or free in-store pickup with no minimum. You'll definitely want to join their rewards program before you buy anything, so you can't get 2% back in rewards on your purchase (as well as other benefits). Everything here is priced from 15 cents to $4.50. Most items are under a dollar. All of these items have quantity limits. 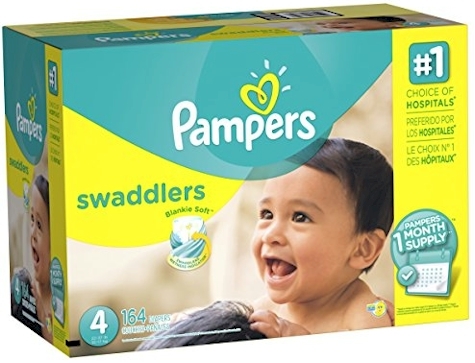 Buy any two boxes of Pamper Swaddlers (sizes 1-6) and receive a $20.00 Amazon gift card for free. Add the two boxes plus the gift card to your Amazon cart and the $20.00 price of the gift card will drop off at checkout (no promo code needed). You cannot use any Subscribe & Save discounts here, but make sure you "clip" any relevant online coupons before you proceed to your shopping cart. Pampers Swaddlers, size 1 (newborn), 222-count, $41.10 - $3.00 coupon = $38.10 with free Prime shipping per box. 12.6 cents per diaper when taking the $20 gift card into account. Pampers Swaddlers, size 2, 204-count, $51.48 - $3.00 coupon = $48.48 with free Prime shipping per box. 18.8 cents per diaper when taking the $20 gift card into account. Pampers Swaddlers, size 3, 180-count, $48.49 - $3.00 coupon = $45.49 with free Prime shipping per box. 19.7 cents per diaper when taking the $20 gift card into account. Pampers Swaddlers, size 4, 164-count, $53.46 - $3.00 coupon = $50.46 with free Prime shipping per box. 24.6 cents per diaper when taking the $20 gift card into account. Pampers Swaddlers, size 5, 152-count, $52.39 - $3.00 coupon = $49.39 with free Prime shipping per box. 25.9 cents per diaper when taking the $20 gift card into account. Pampers Swaddlers, size 6, 144-count, $67.59 - $3.00 coupon = $64.69 with free Prime shipping per box. 38 cents per diaper when taking the $20 gift card into account. Amazon $20.00 gift card Make sure to add this to your cart along with your two boxes of diapers. 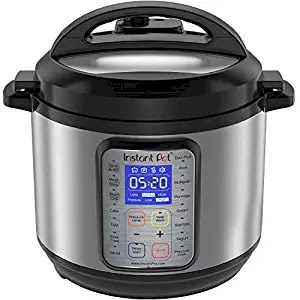 Today, 6/26/18 only, as part of their Gold Box Deals of the Day, Amazon has got the 6-quart Instant Pot DUO Plus 60 for $89.99 with free Prime shipping. It got 4.5 out of 5 stars over 3,154 customer reviews and is an "Amazon's Choice" item. Limit 5 per account. If you're new to Instant Pot cooking, Amazon has got The Essential Instant Pot Cookbook in hardcover for $13.96 with free Prime shipping, (which is a really good price on this popular cookbook). 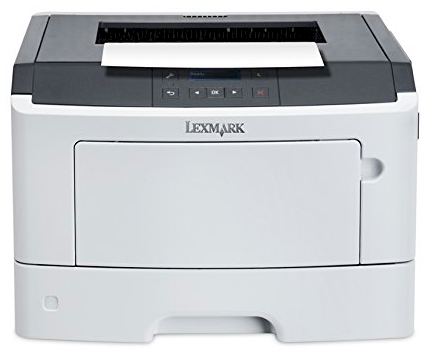 It got 4.1 out of 5 stars over 362 customer reviews. 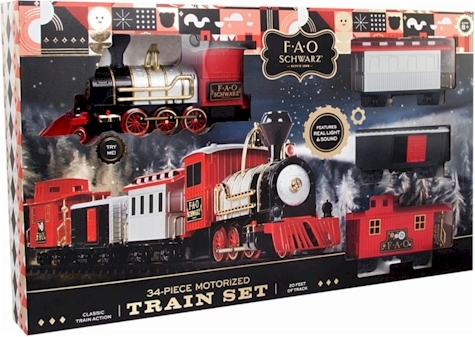 Best Buy has got the FAO Schwarz 34-piece Motorized Train Set for $28.99 plus $8.49 shipping = $37.48 (or FREE in-store pickup). Description: Take your child's imagination aboard exciting railroad adventures with this 34-piece FAO Schwarz motorized train set. Its classic-style battery-operated locomotive unit comes with three train cart attachments and produces lights and realistic train sounds for exciting play. The track pieces of this FAO Schwarz motorized train set create a 43-inch-wide elliptical track when assembled. Includes four unique train cars and a 20' track. Enjoy realistic sound effects and an illuminating LED lamp. Runs on six AA batteries (not included). All Entertainment Books are now $7.76 with free shipping! No strings, just a super-great deal. 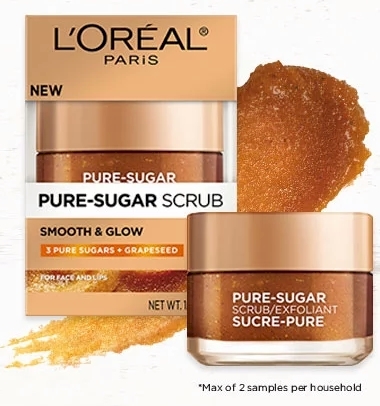 The Entertainment Book is chock full or coupons and discounts on businesses local to your area..
Request your FREE L'Oreal Pure-Sugar Grapeseed Scrub Sample here. Limit two per household. Academy Sports has got some INCREDIBLE deals on outdoor furniture going on right now. Free shipping with a $25.00 minimum purchase and free returns (with some exclusions on the free shipping and free returns). 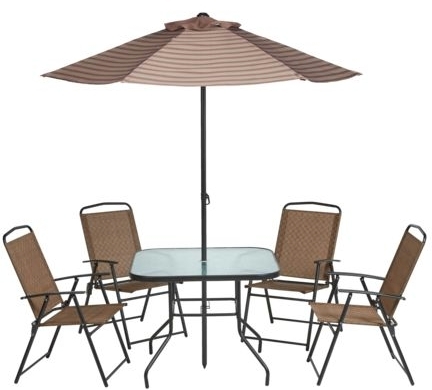 The Mosaic 6-Piece Folding Patio Set pictured at the top of this post is only $119.99 + $15.00 shipping = $134.99 shipped. 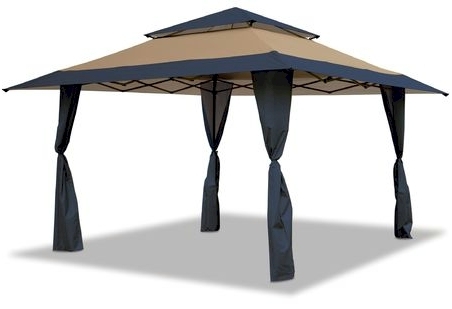 The Mosaic 13' x 13' Pop-Up Gazebo Canopy is only $99.99 + FREE shipping. 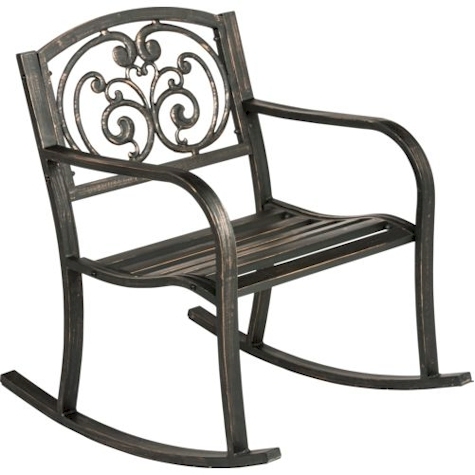 This Mosaic Ivy Rocker is $39.99 + $8.00 shipping = $47.99 shipped. 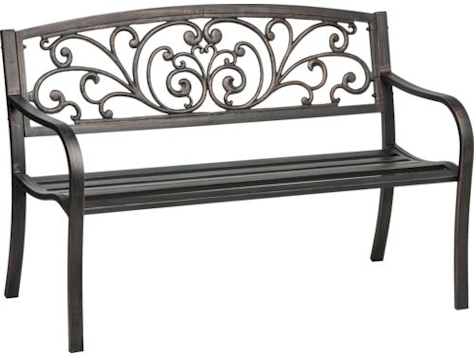 This Mosaic Ivy Bench is also $39.99 + $8.00 shipping = $47.99 shipped. Lots more Academy deals and steal on outdoor furniture over here. For a limited time, Google Play has got two albums that are completely FREE for download: The Beach Boys Icon album, and (though I'm not a fan) Ariana Grande's My Everything album. Enjoy the free music. The Beach Boys album is chock full of old favorite hits. Amazon has got this Speedo Women's Powerflex Conservative Ultraback One-Piece Swimsuit in black, sizes 6-16, for $23.99 with free Prime shipping, the lowest recorded Amazon price on this popular bathing suit. It got 4.2 out of 5 stars over 483 customer reviews. Because of the low pricing, limit of 3 per account. 74% Nylon/26% LYCRA® XTRA LIFE™ fiber. Ultraback features wide crossed straps for a secure and comfortable fit. High back cut for maximum coverage. Engineered to last 5-10 times longer than ordinary swimwear. I know it's quite early to be posting school supply specials, but I think it's never too early to save money! Amazon has got these Westcott 7" Floral Student Scissors for only $1.00 (with no quantity limit). These are so pretty! My Early Bird School Supply Amazon roundup is over here. Even if you've already seen these, check out the new deals I posted there tonight. 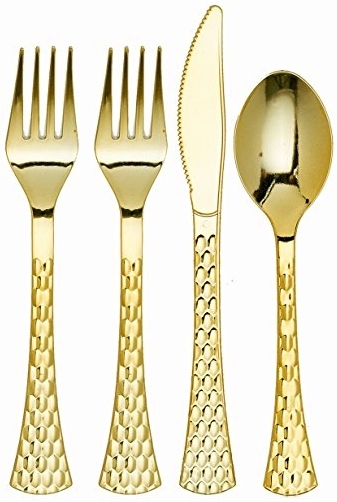 Amazon has got this Diamond Design 160-piece Heavy-duty Disposable Gold Silverware (assorted, with double forks) for $14.99 with free Prime shipping (9 cents per piece), the lowest recorded price on this beautiful disposable set. We have this set (bought it for Pesach when it was $19.99) and it's really striking in a table setting. Buy now, get a super-early jump on your Sukkot planning! 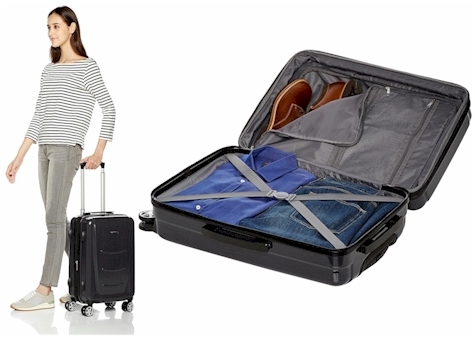 Check out this 20" AmazonBasics 20" hard-shell spinner suitcase for $29.99 with free Prime shipping, the lowest recorded Amazon price on this item, which got 5.0 out of 5 stars over 3 customer reviews and is an "Amazon's Choice" item. A few weeks ago, I decided to try to bring a bit of different technology that everyone seems to be using into the Daily Cheapskate mix. I opened a Daily Cheapskate What's App group. No good deed goes unpunished, and slowly but surely, spammers started to infiltrate the group. I racked my brains trying to figure out how to keep them out, but they kept getting in. I need to speak to a What's App developer and find a solution. 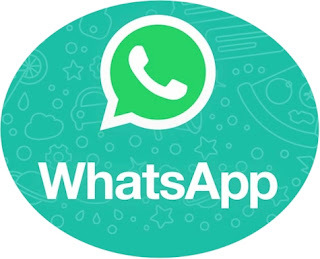 Until then, the Daily Cheapskate What's App group is officially closed. You can always keep in touch with Daily Cheapskate with our Facebook group, our Twitter feed, our Pinterest page, and our daily mailing list. Today the group got hit with a particularly disgusting piece of spam. I'd like to apologize to everyone in the group who had the misfortune of seeing that on their phone before I got to it. Sorry guys. I tried. I failed. But I'll keep trying. If you've subscribed to either Daily Cheapskate Whats App group, please leave the group. If I start the party up again, it will be with a completely new group. Saks Fifth Avenue Off Fifth has got this 7" white porcelain 30 oz. 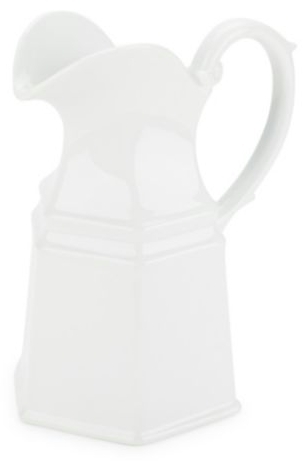 BIA Cordon Bleu Antwerp pitcher for $19.99, but enter promo code SUMMER18 and that price drops to $15.99 with free 2-day Shoprunner shipping.